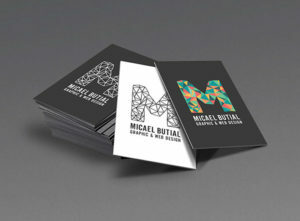 Design help for the right business card tailored to your needs! The physical business card is alive and well. Emails and social media may help you keep in contact. 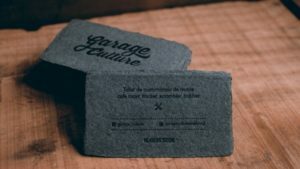 But your strongest first impression on potential customers remains a unique and informative business card advertisement of your service or product. As long as there are events and parties, one on one meetings, industry conventions, and networking opportunities, there exists a need for sharp business cards presentation. It’s critical that your card isn’t thrown away because of a boiler plate template, overly simplistic design found online by the mass printing chains. Whether you work at a fashionable ad agency, cut lawns, market pizza, or sell high technology products, your business card should make a memorable first impression. Here’s a list of our do’s and don’ts for terrific first impressions. #1 We recommend an updated company logo. Ranging from artistically elaborate to decidedly simple, a logo that catches your eye and helps explain your business or service is key to having your card looked at a second or third time. Lucky for you, Moss Printing’s graphic designers are some of the most skilled in the Kansas City area. #2 Special papers and colors may be the next best and cost effective marketing trick to get new customers hooked on your business offerings. Sometimes a basic green background for an outdoor landscaping business will help differentiate and separate your business against a host of basic black and white cards, typically used by new entries to the field. 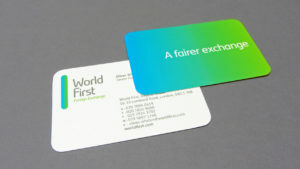 Unique cardstocks typically make the strongest first impression. We can help you find the right fit. #3 Abnormal shapes and cuts on top of your card, or even made into the standard U.S. 2×3.5″ rectangle can really set you apart. Rounded corners, special die cuts on the edge, and more will get the right kind of attention your business needs! Moss will guide you through a number of options and pricing levels, if you want a uniquely shaped card. 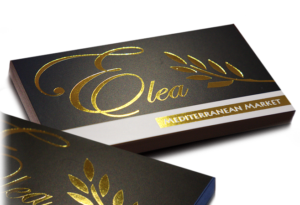 #4 Raised thermal ink, UV coated, embossed, and/or metal foil stamped designs are also great ideas to make your business card stand out, and pop on first view. Ask us for details on the best fit for your budget. #5 Our last tip is don’t overload your card with small print information. I know you want to explain everything you can do for clients all at once, up front. But the business card’s purpose is to make a meaningful first impression only, with some basic contact information listed for those wanting to learn more. The company name, your name, and a few select words about what you do are all that’s necessary. Sometimes just an email or phone number will work for a small company as contact information. Plus you can always use the back side to explain a few bullet points on what you offer, or list your full address, 800#, fax#, social media contacts and everything else, if you feel it necessary. Remember, we’re here to help. Moss Printing has been guiding Johnson County and Kansas City area businesses for nearly 50 years. We can add pizzazz to your business card design and future sales growth. Stop by or email us with your questions. “Our” home in Mission, Kansas is “your” full service business marketing design home too. Come visit us to learn more. We look forward to seeing you! Need Wedding Invitations or Graduation Cards?